As TRIO’s resident content and SEO strategist, I am always looking for opportunities that will help expand my knowledge base and strengthen my skill set to better serve our clients. Also, any time I can be in the presence of badass, hilarious writers like the creator of The Onion, I am totally game. Which is why I packed up my pens and notebooks for a couple of days and headed up the road to Charlotte for the 2018 Digital Summit. Before I get into the nuts and bolts of the industry trends and key topics that were discussed, let me start by saying that this conference was flat-out amazing. It was quite literally packed with a diverse and knowledgeable collection of speakers who talked about all things digital (go figure). I could’ve listened to Scott talk about stories from his writer’s room at The Onion all day, but that’s because I am a super nerd when it comes to comedy writing. My biggest takeaway from this session was that they didn’t send out press releases in the hopes that publications would pick it up. They would go out and do things that were press-worthy, like with their headline “Child Bankrupts Make-A-Wish Foundation With Wish For Unlimited Wishes.” And that’s about as outrageous as you can get in the marketing world. This session was downright fascinating. It was all about looking at Google’s patent purchases to see where digital marketing is trending. It’s no secret that Google is the gatekeeper when it comes to digital advertising. Being in the top search results on Google means major ROI for advertisers. And now that Google is starting to purchase patents related to voice-recognition and in-home search devices, it’s safe to say that marketers need to be evolving their marketing efforts to follow suit. I loved that this session focused on intentional storytelling in defining your brand. The elements they focused on were your brand’s purpose (your “why”), position (what makes you different), promise (guaranteed value), personality (human characteristics of your brand) and expression (representation of your brand via logo, tagline, etc. ), and bringing all those elements together to form the special sweet sauce that is a successful brand identity. The best thing about this session is that I was able to take away tangible, actionable ideas for how to improve SEO for our clients. There wasn’t this type of high level, inspirational talk that oftentimes can be found in conference sessions. Instead, it felt as if this speaker had hopped down off his podium and was speaking to us one-on-one, striving to help us solve our SEO problems directly instead of talking around them. I was completely engaged in this session the entire time. I don’t even think I took very many notes because what she was saying and how she was saying it was so mesmerizing. But what I did take away from this session was how your brand’s story is the start of the thing that sets you apart. And that organizations like the Humane Society are changing the narrative in their industries with initiatives like “Mutual Rescue.” If you haven’t seen this campaign, take a moment to check it out. WARNING: Prepare to be inspired. Overall, I attended 12 sessions total, but I won’t go through everything I learned from them, because it was quite a lot. 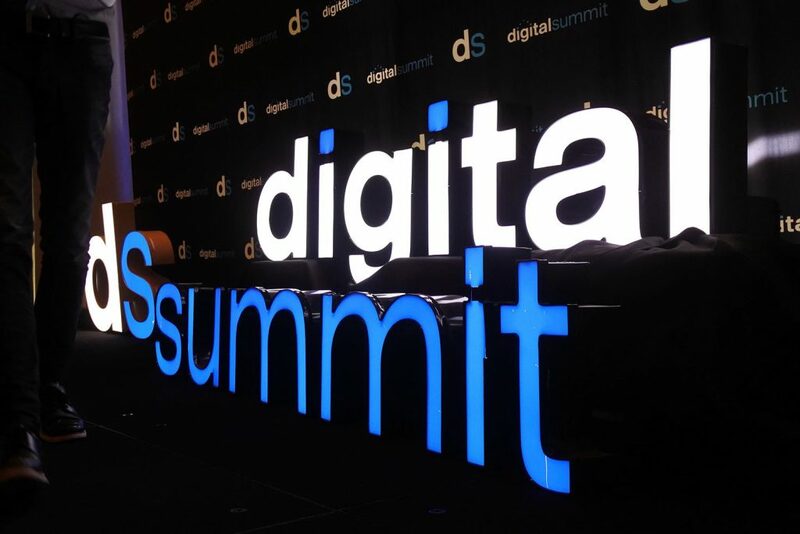 What I will say is this: if you have the opportunity to attend the Digital Summit in your community, DO IT. It is worth the price of admission and I guarantee that you will walk away from it feeling inspired, empowered and ready to take on the world of digital marketing.